Corrosion is always a concern on metal tanks. Four liquid mud tanks and two brine mix tanks were newly construction and the client, an international oil & gas company, wanted the tank interiors lined with a superior coating material which would extend the life of the facility. 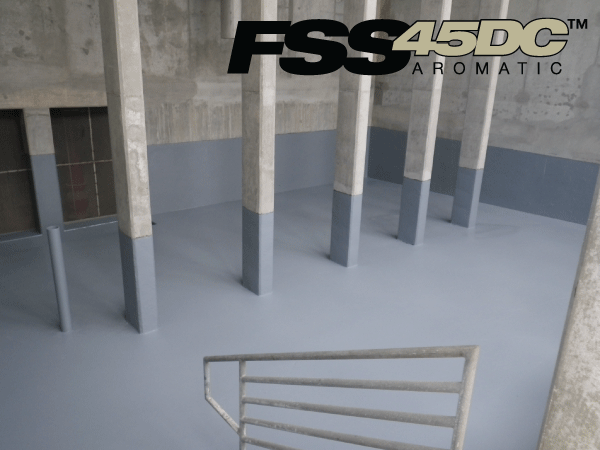 After extensive research and consideration, VersaFlex VF320 Elastomeric Spray Polyurea was selected. The interior of the tanks were blasted to SA2.5. A primer was used to prevent corrosion after blasting, followed by VF 320 pure polyurea as a protective top coat.